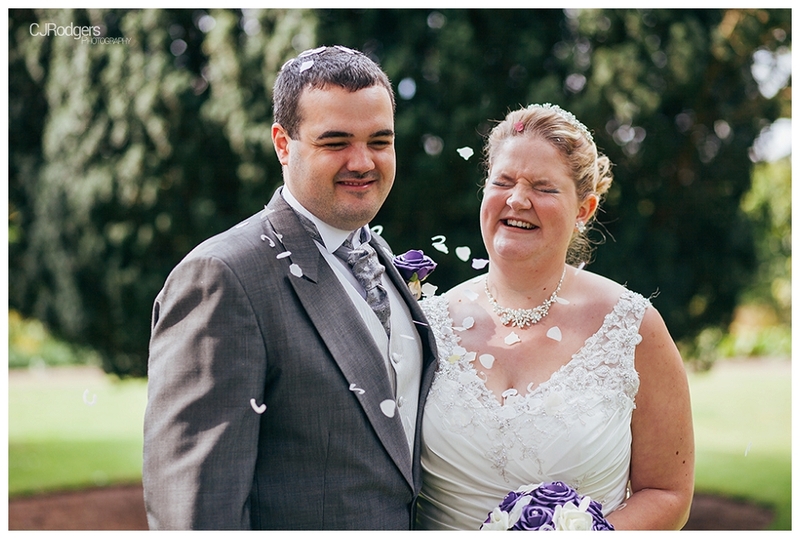 ‘Not only do they love each other, they’re best friends’ – just one of the many wonderful, honest moments overheard at Danny and Amy’s wedding last month. 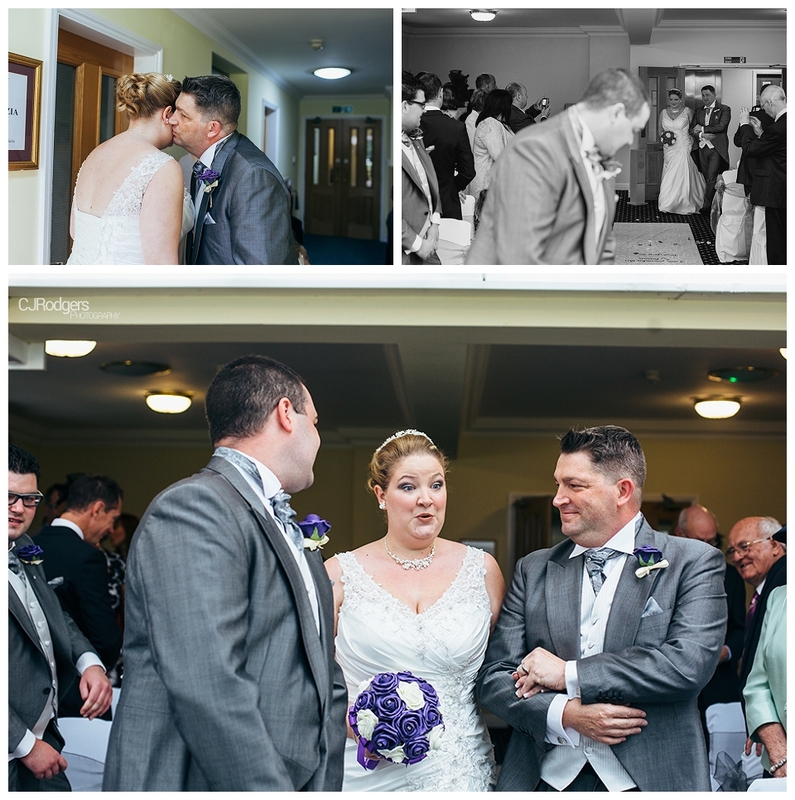 The day from start to finish was a true joy to be part of – as you can see from the collection of photos below, the two literally could not stop smiling! 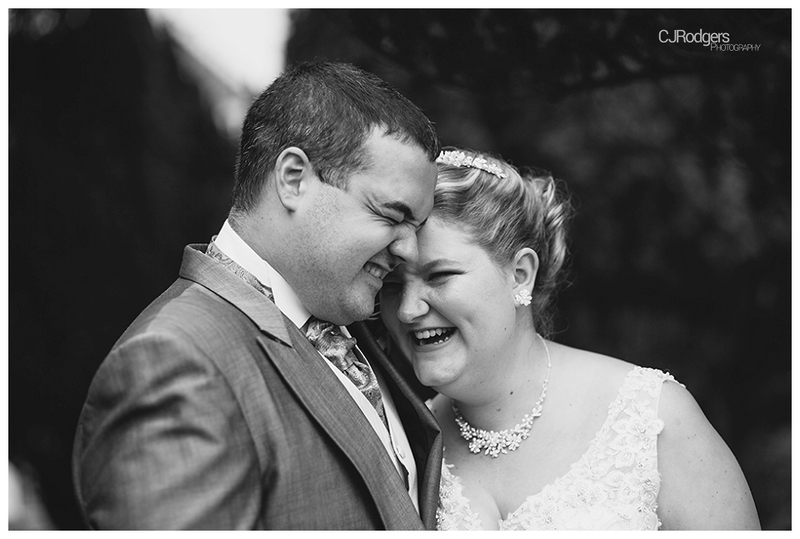 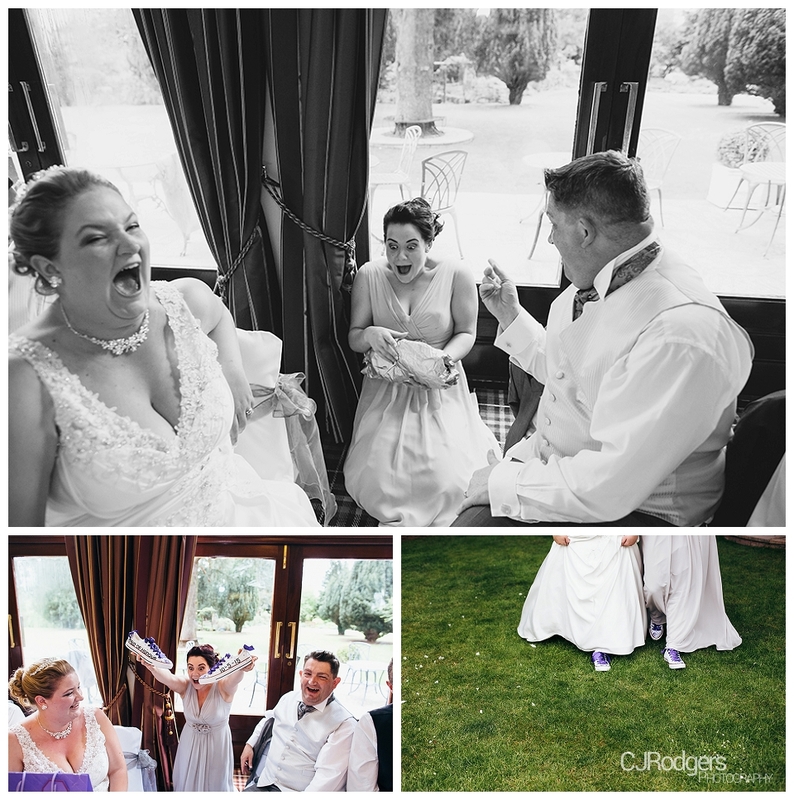 We had such an amazing time providing the wedding photography and spending the day with Danny and Amy, and their family and friends who were all so welcoming and up for a good ol’ giggle (check out the party pics at the end). 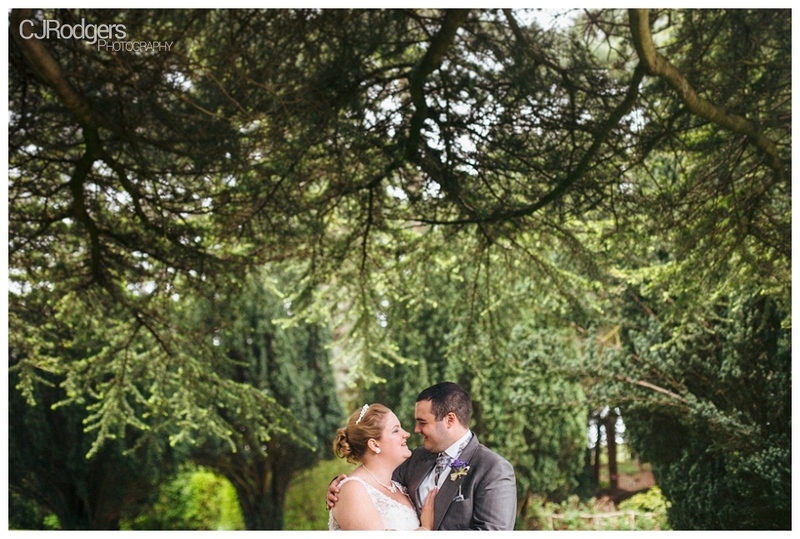 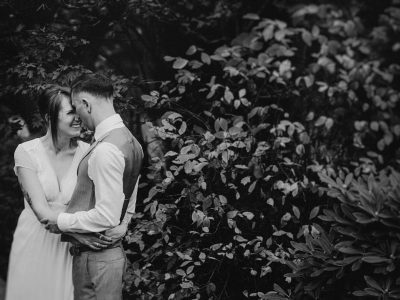 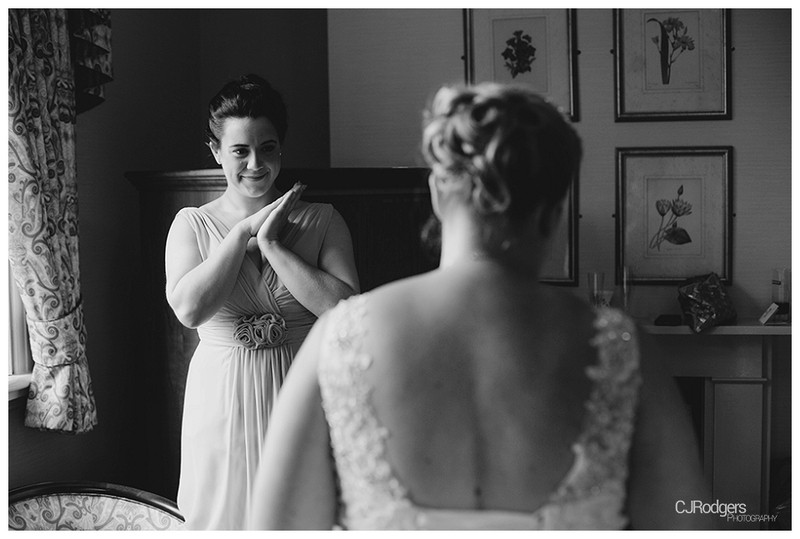 Danny and Amy were married at The Parsonage Hotel and Spa, a beautiful building set in 6 acres of garden and woodlands in Escrick, Yorkshire. 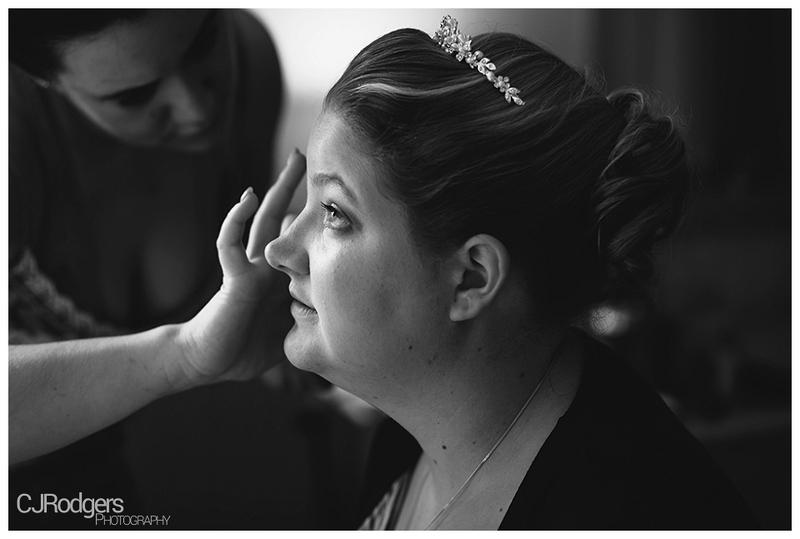 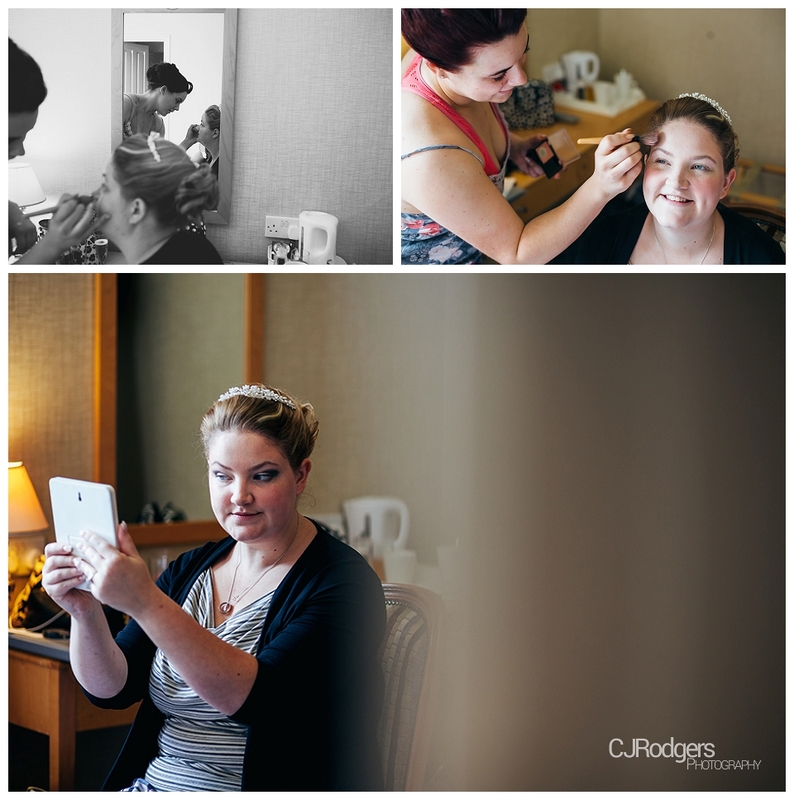 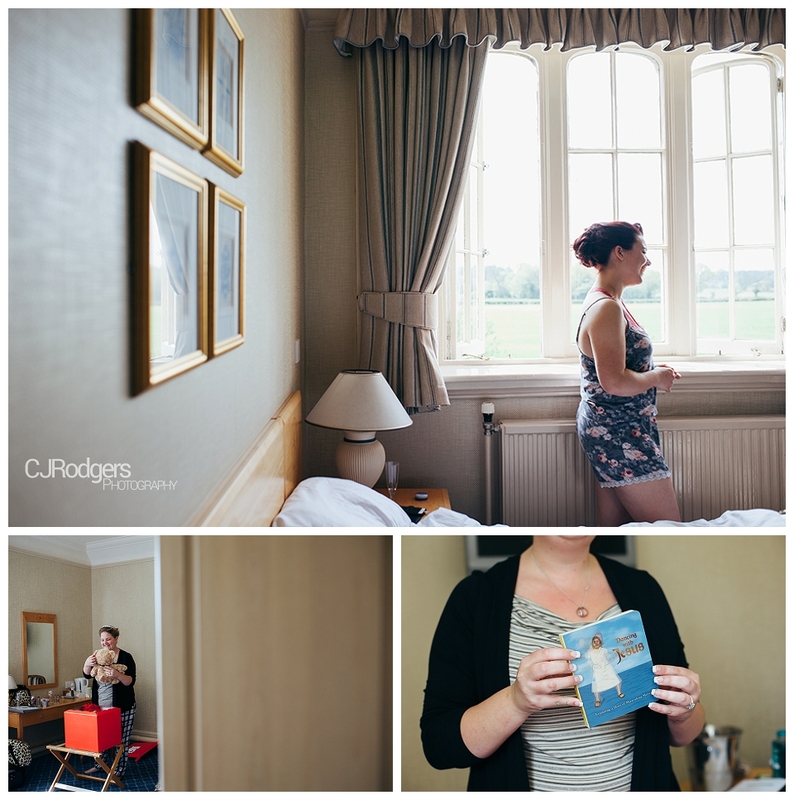 I spent quite a bit of time with Amy and her maid of honour Kaitlin as they got ready for the special day – Amy was THE most chilled out bride, so calm and collected, nothing fazed her. 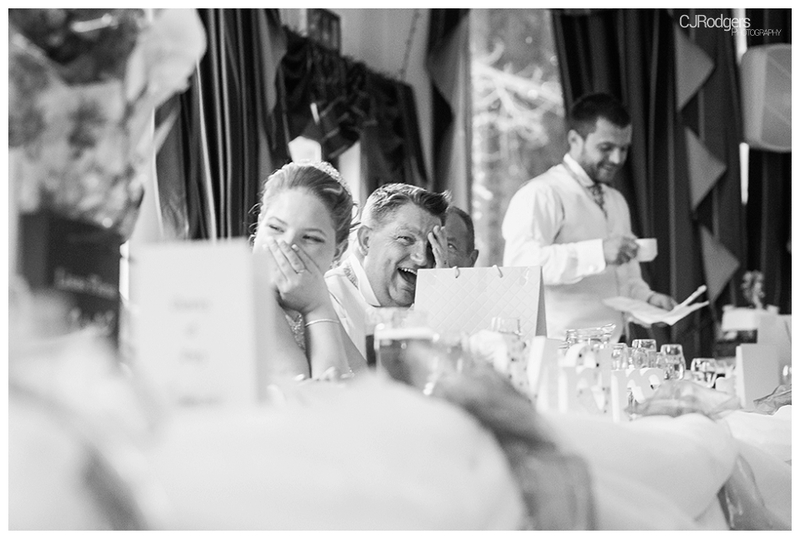 Danny had helped out, putting together a box with a variety of thoughtful gifts for his bride to be, including a cute teddy bear, various alcoholic beverages and a guide book on dancing with Jesus! 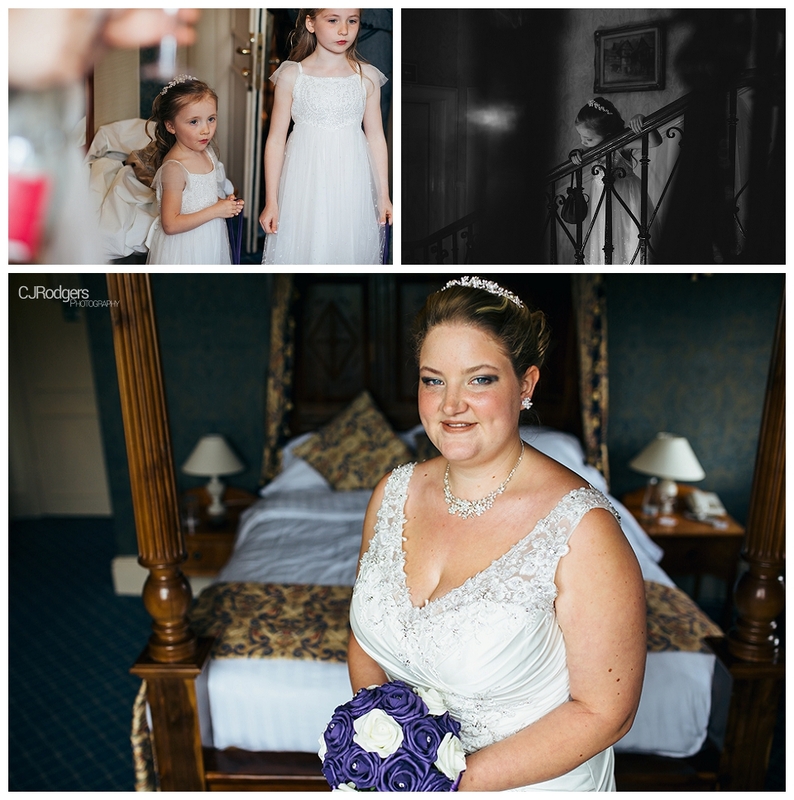 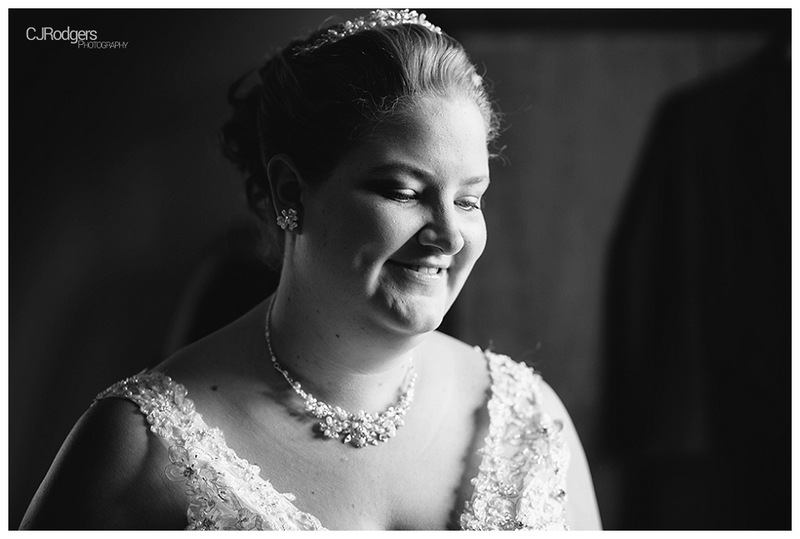 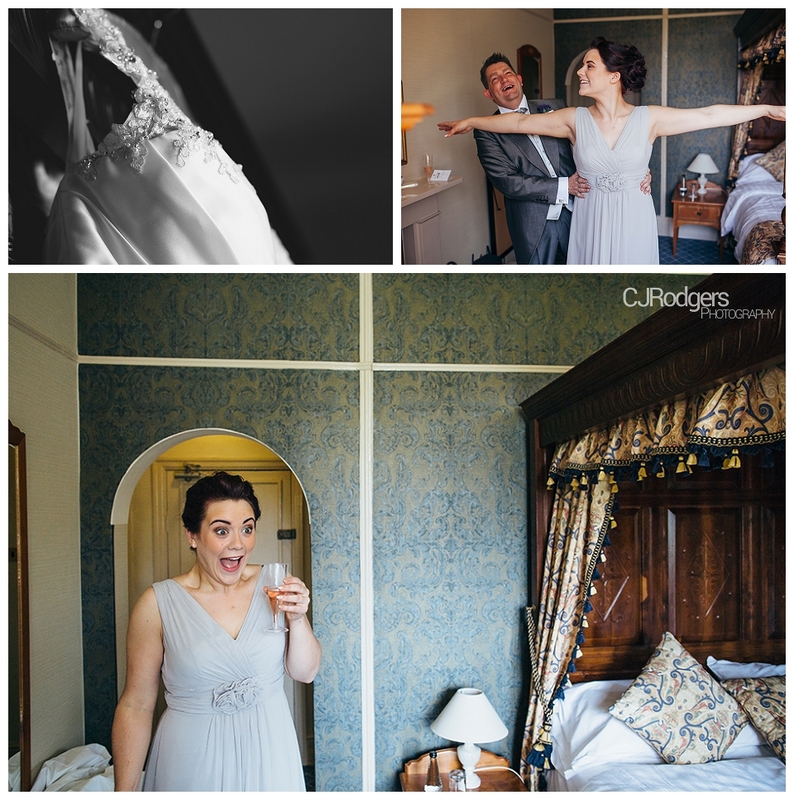 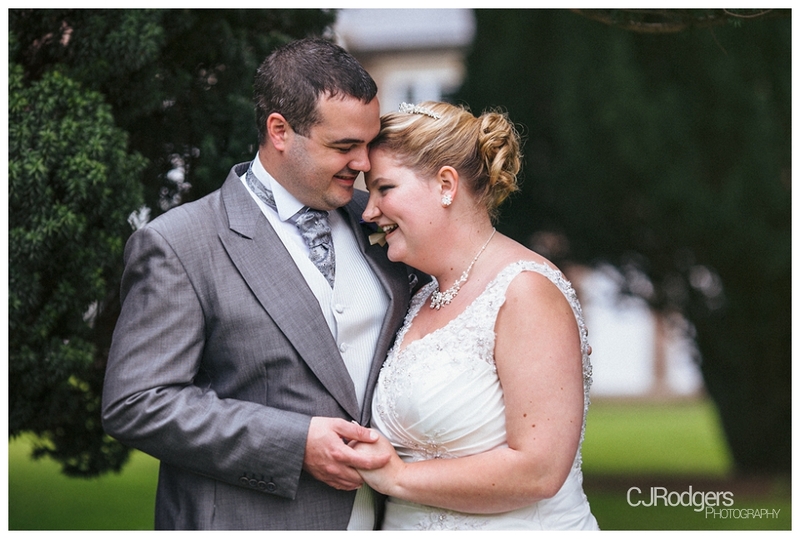 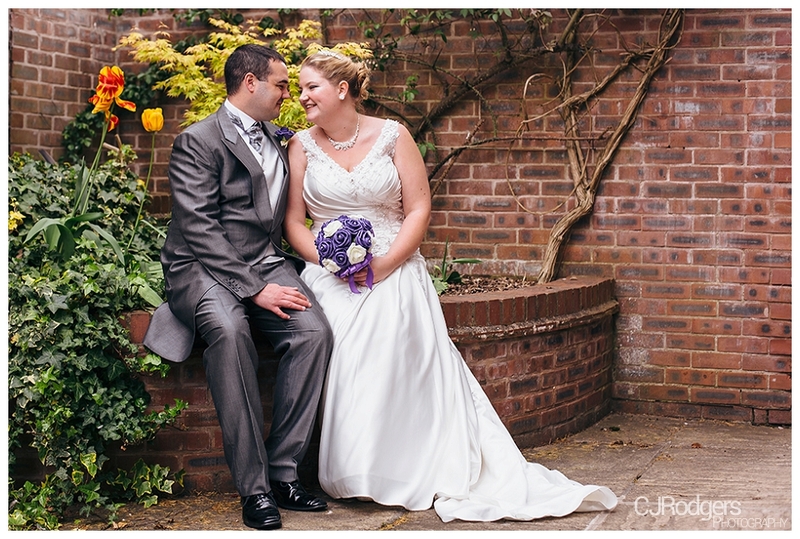 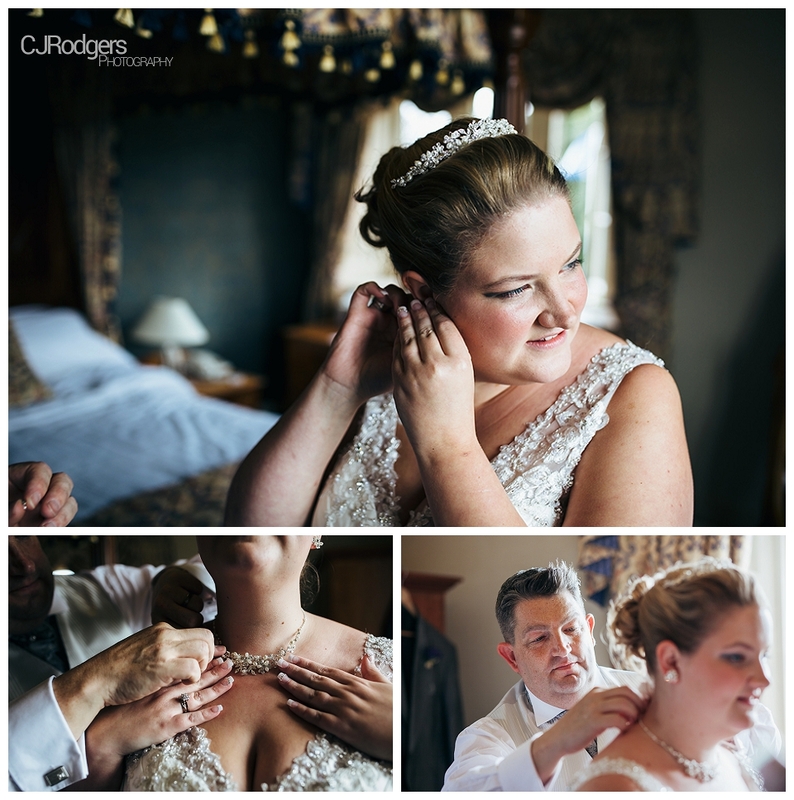 Amy wore a stunning ivory lace dress, with a beautiful necklace and pearl tiara. 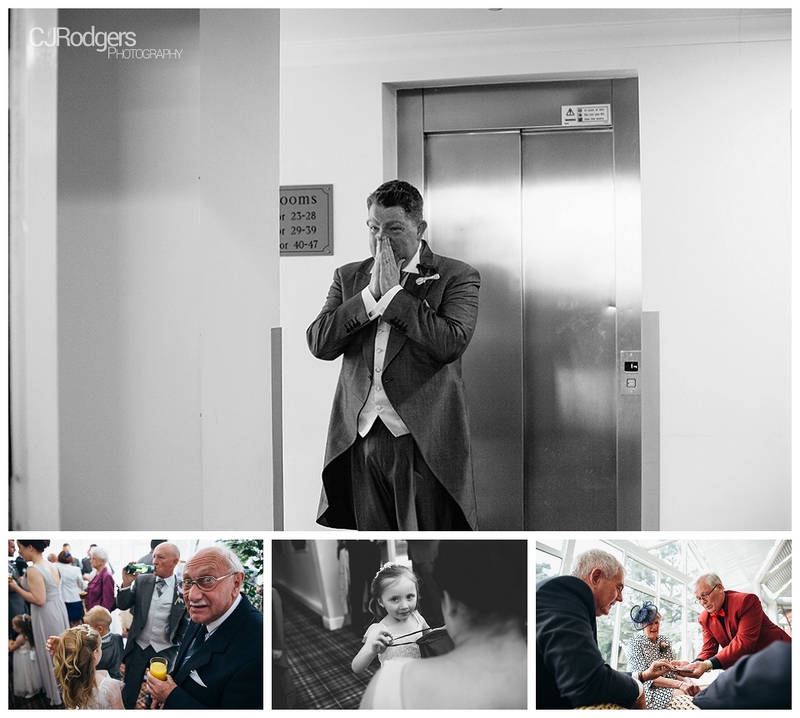 Father of the Bride Mark was on hand to support Amy getting ready and it really was an emotional wedding day, with so many personal touches, amazing reactions and special moments. 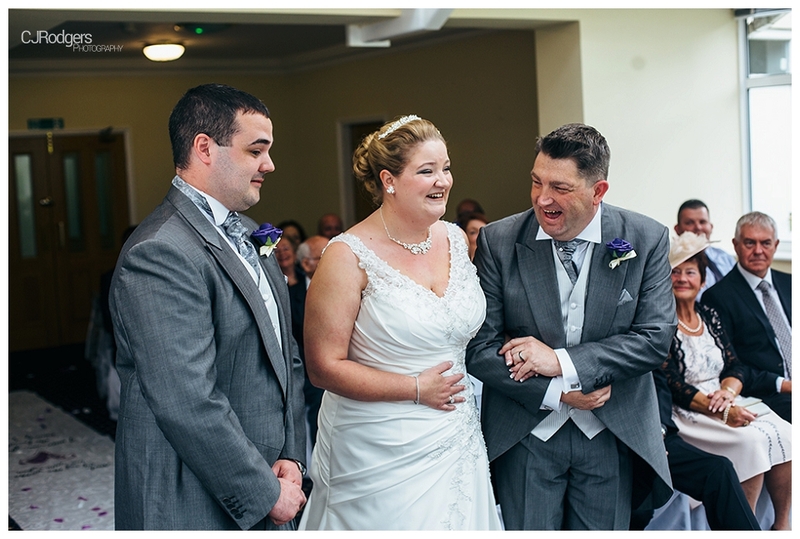 Amy had a wedding aisle runner specially made for her Dad which read ‘Of all the walks we have taken, I will remember this one forever’. 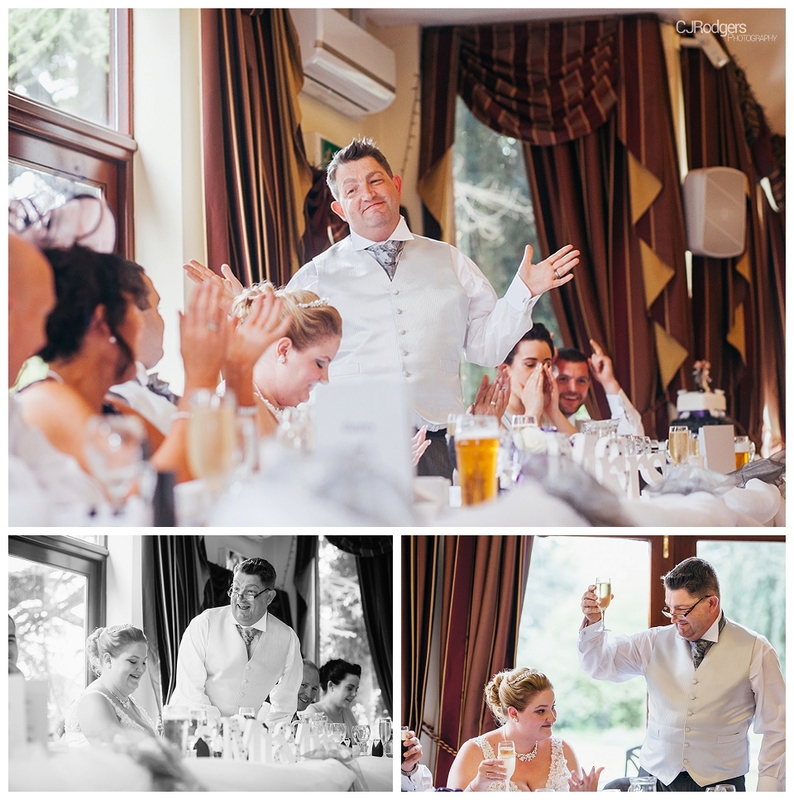 Danny’s best man Matt had travelled all the way from New Zealand to see his best friends get married, his speech was top notch (as was his dancing at the end of the night..!) 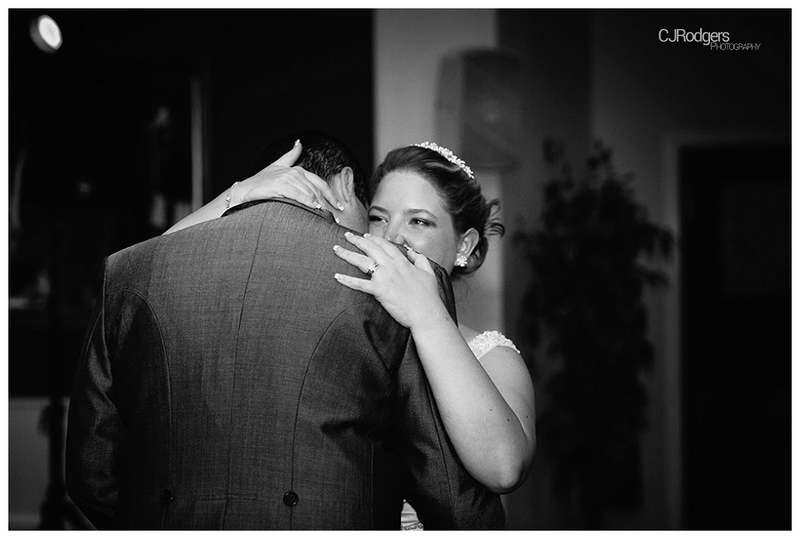 and really showed how much he cared about the bride and groom. 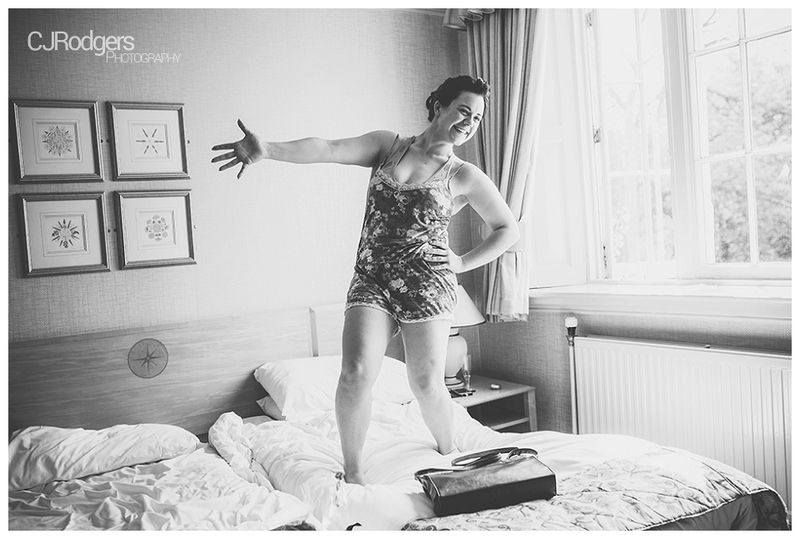 Maid of Honour Kaitlin’s face when she opened her present from Amy = best converse reaction ever, priceless. 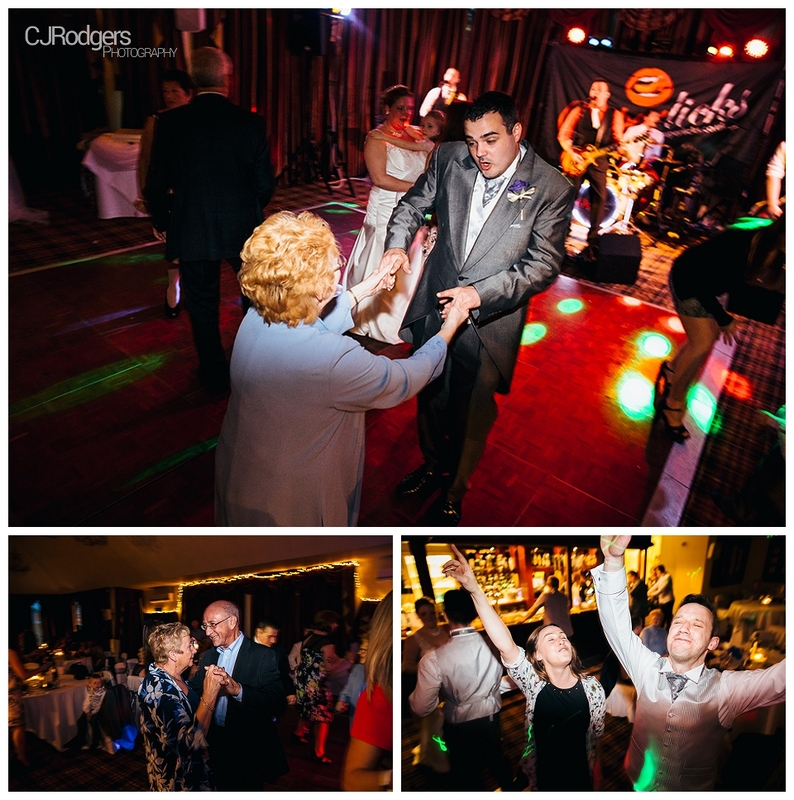 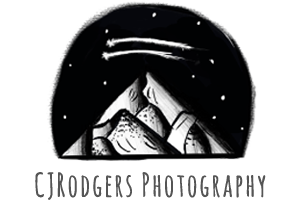 This wedding had it all; a magician, a caricaturist, a photo booth, an awesome band, lots of wonderful, happy people and importantly lots of love. 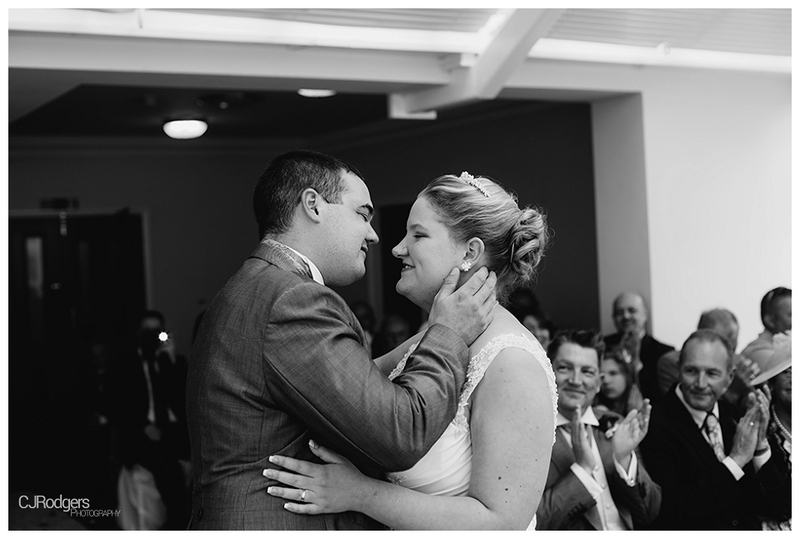 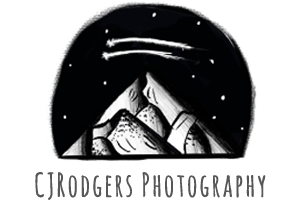 I hope you enjoy the collection of photographs below as much as we enjoyed capturing it. 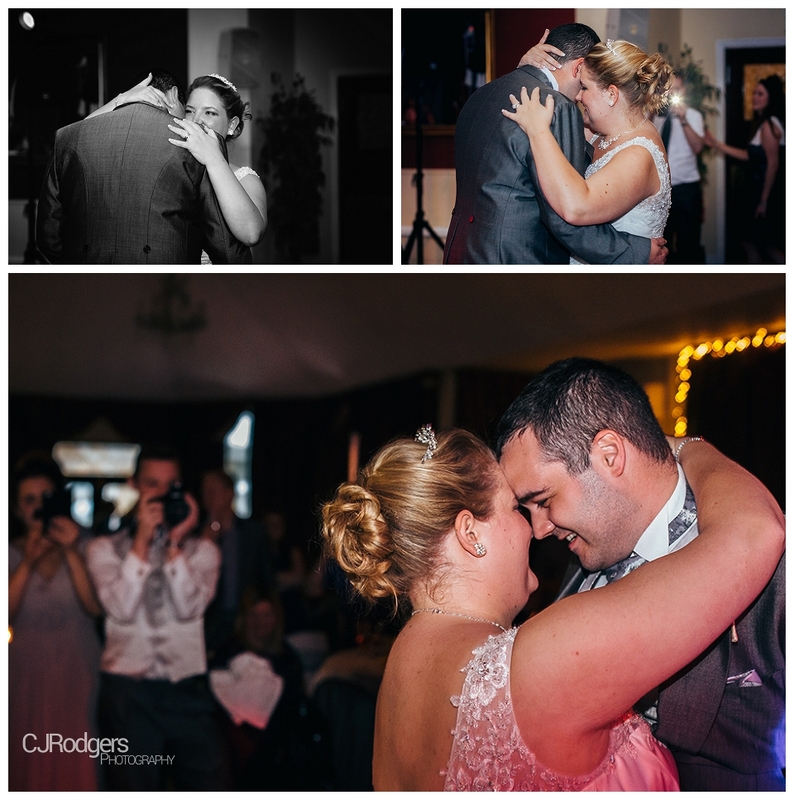 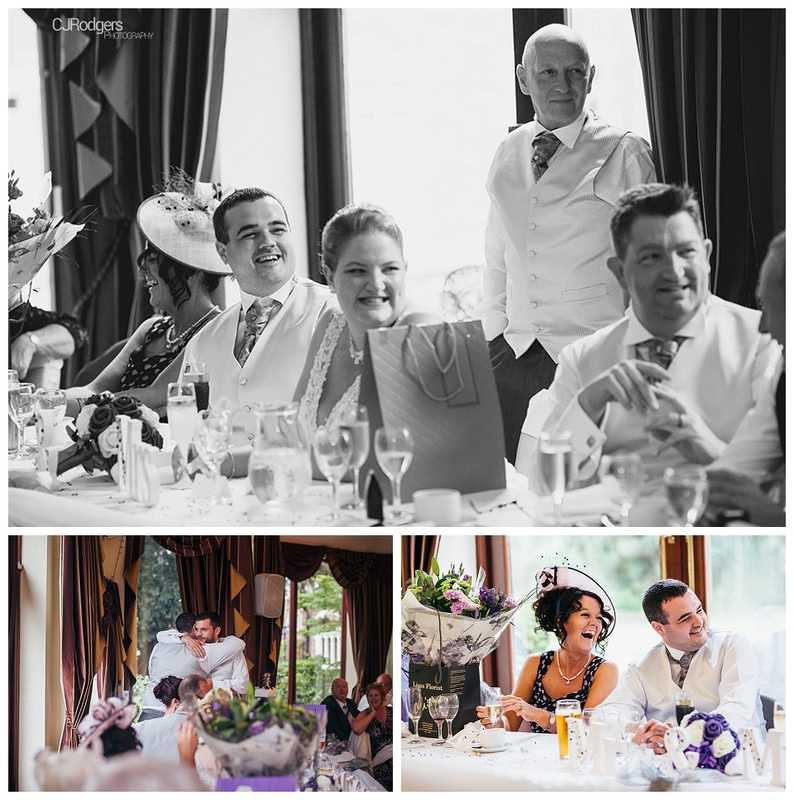 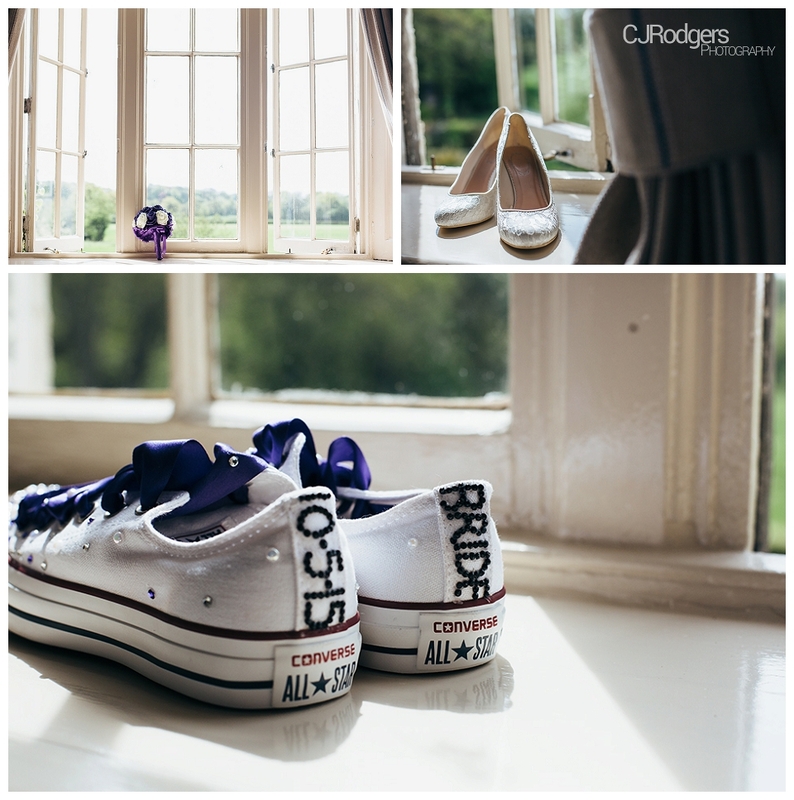 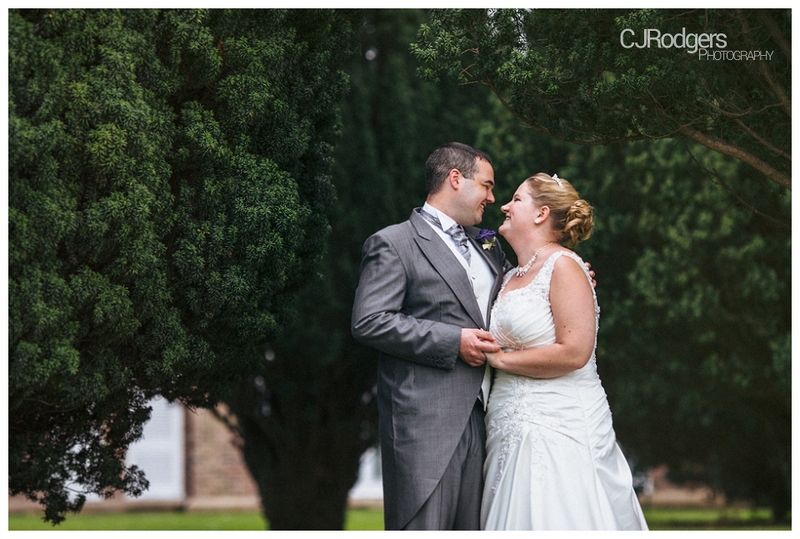 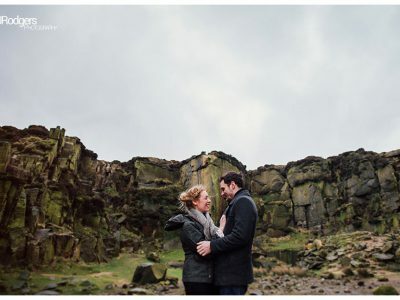 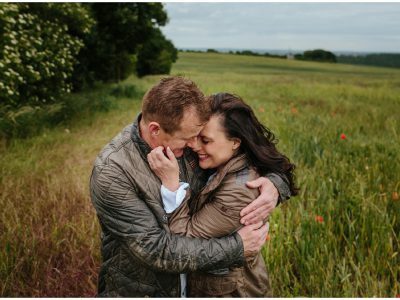 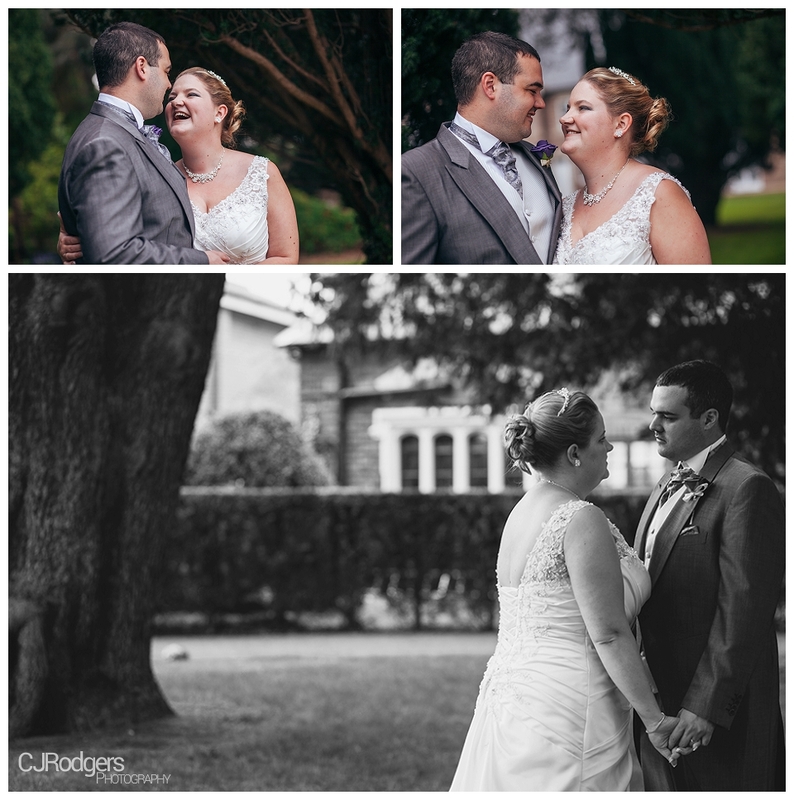 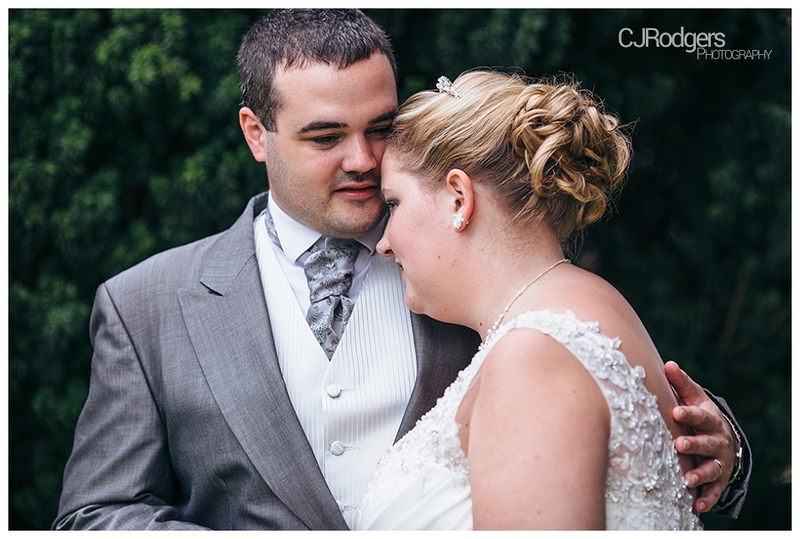 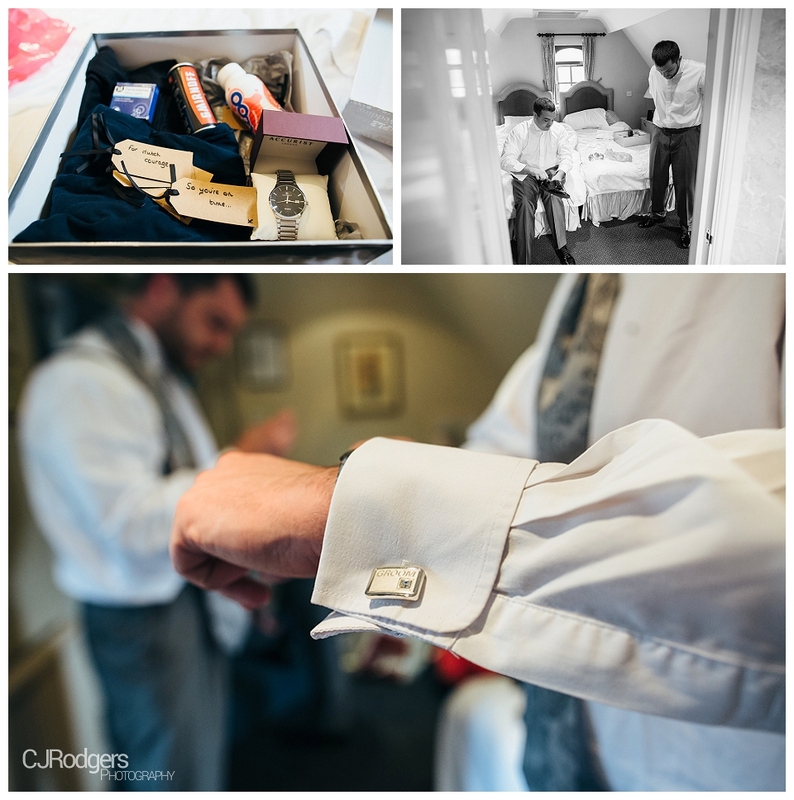 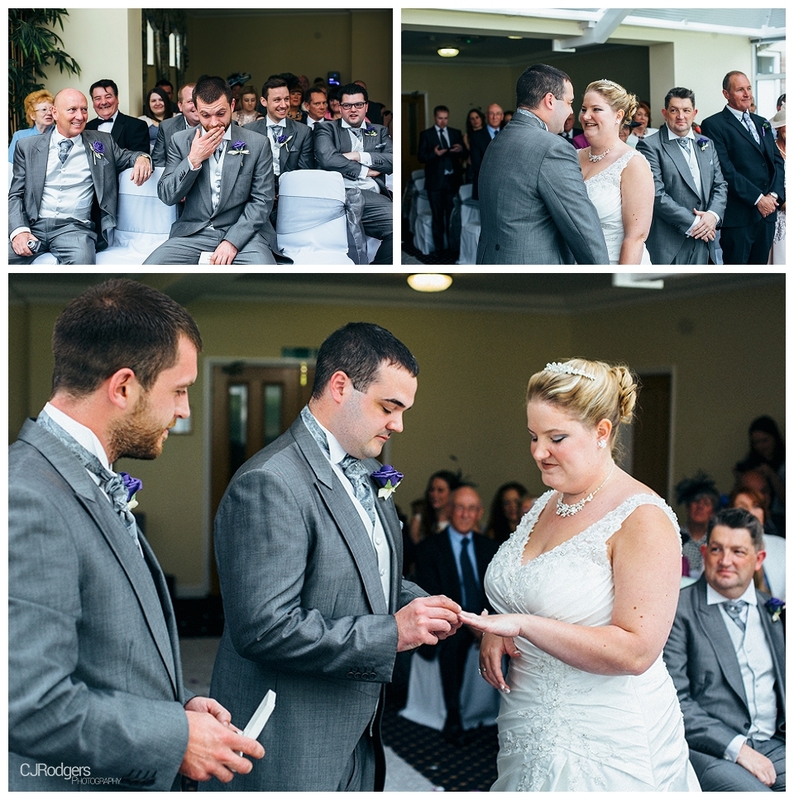 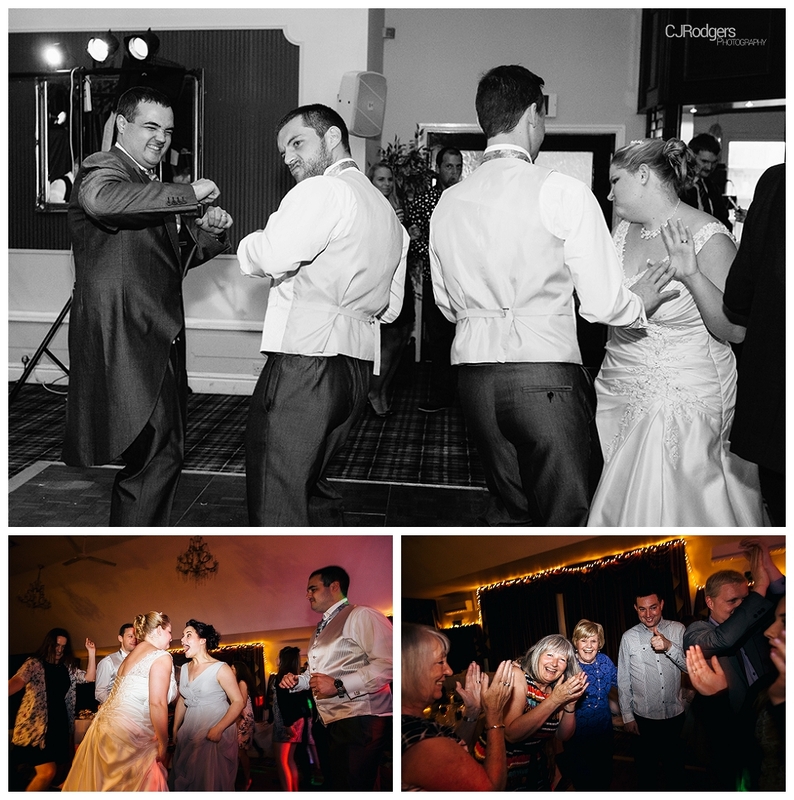 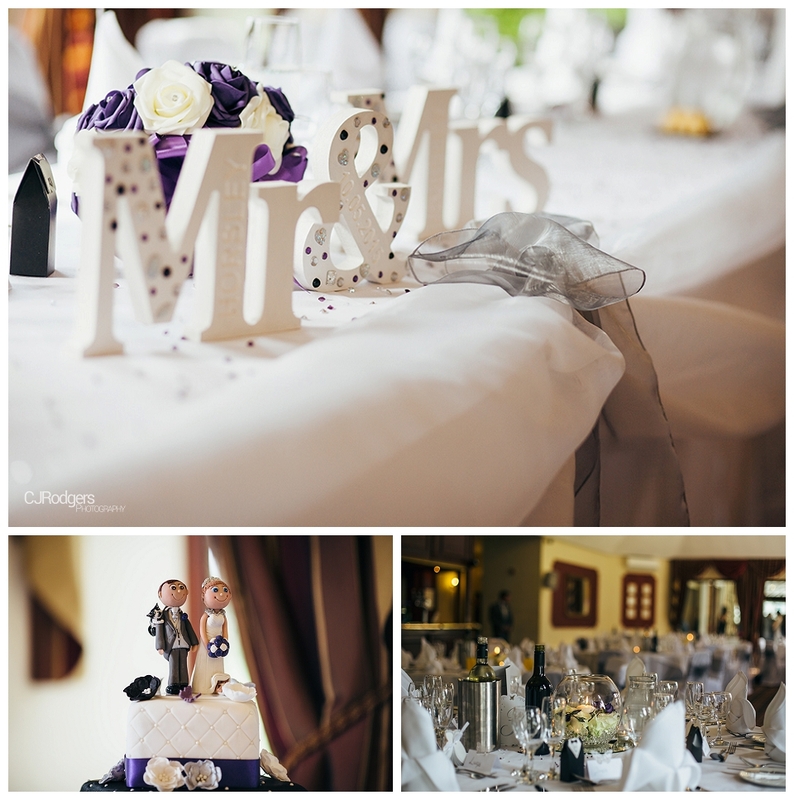 Craig is a Wedding Photographer working throughout Yorkshire and the UK.